Where is it? 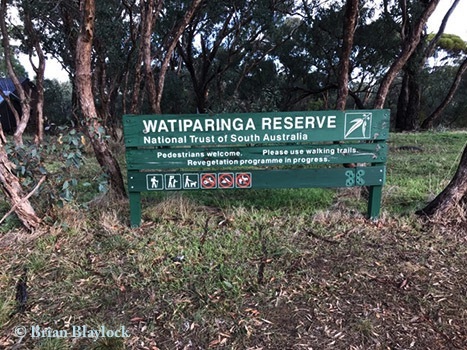 : Watiparinga Reserve is at the end of Gloucester Avenue, Belair. Public transport is available on Bus Route 196 to Blackwood Station (Stop 22 on Gloucester Avenue, Belair). Alternatively catch the train from Adelaide to Blackwood and then Bus Route 196 to Adelaide and alight at Stop 22. Property summary: Total area 35 hectares. Hundred of Adelaide – Pieces 4-6 (Filed Plan 15776). History: Watiparinga was one of the first properties donated to NTSA in 1957 by Miss Alison Ashby MBE and contains the first National Trust plaque in South Australia unveiled by the then Governor Sir Robert George. 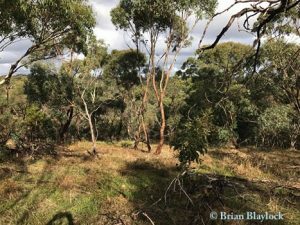 Habitat: Watiparinga is a restored woodland of Grey Box (Eucalyptus microcarpa) trees over a grassy understorey.